Carolyn Haywood created a comfortable, reassuring world for young children, where the greatest dilemma any character faces is the sudden disappearance of a coveted tea set from the toy store window. Haywood herself was a Philadelphia native, but the children in her stories live in small town America. They are free to play in the streets and roam the town on their own. For a modern adult reader, this can be rather anxiety-inducing – what terrible fate will befall these unsupervised kids? But in Haywood’s books, the world is a safe place. So safe, in fact, that it can be hard to imagine these books holding the interest of today’s children, who are used to a multi-media environment and who may be completely unfamiliar with the joys of catching frogs in the local creek. Haywood was prolific, publishing over fifty books between 1939 and 1987. Her popular Betsy and Eddie series were first chapter books aimed at 8 and 9 year-olds. The characters are straight out of the old nursery rhyme, “What Are Little Boys Made Of?” The boys chase frogs and have benign adventures. The girls are more sugar than spice, sometimes to the point of inducing cavities. The world Haywood imagined for her characters can feel as two-dimensional as her black and white illustrations. Most of the children want only to play with their toy fire engines and dolls, and they all have pets with silly names. Billy’s dog is named Miss Mopsie-Upsie Tail. 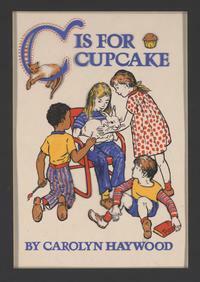 The Cupcake in “C” is for Cupcake is Christie’s class rabbit. The book’s chapter titles inform us that “C” is also for cake, Christmas cookies, candy canes, cinnamon buns. Such unrelenting sweetness may be soothing to young readers, but it often seems unrealistic. Carolyn Haywood did not lead a boring life. She travelled through Europe and worked with famous artists, like Violet Oakley. She was active in her church and in the local library community and had a wide range of acquaintances. And yet her books do not reflect her worldliness. Perhaps because she had no children of her own, but based her stories on neighborhood children, she idealized them; or perhaps she was willfully naïve. Her books spoke to a particular generation, and although Haywood later tried to update the stories for newer audiences, they remain a record of a more innocent (and sometimes somewhat dull) place. Or so we assumed, until we started cataloguing the unpublished manuscripts in her papers, which were donated to the Children’s Literature Research Collection at the Free Library. What we found there may surprise you! Tune in next week for more shocking revelations! 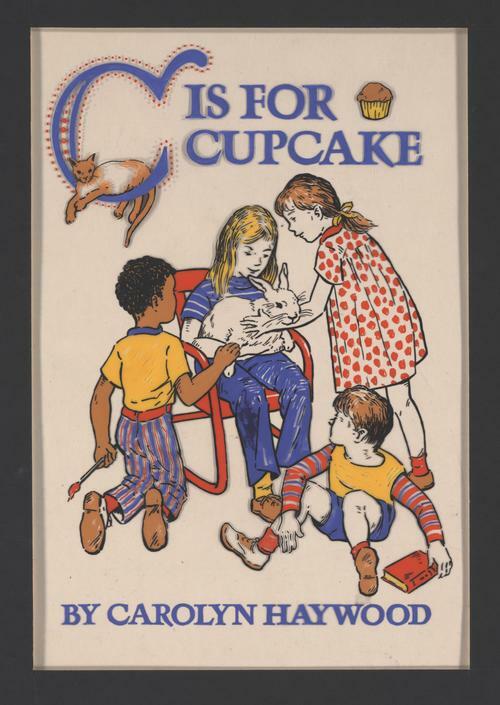 Want more news (shocking or not) from the Children’s Literature Research Collection? Visit our Facebook page or follow us on Twitter.